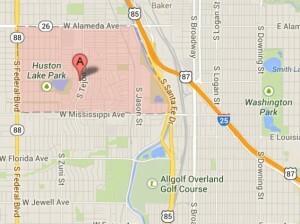 The Overland Park Neighborhood is part of the South Platte River Denver Neighborhoods In Southwest Denver. 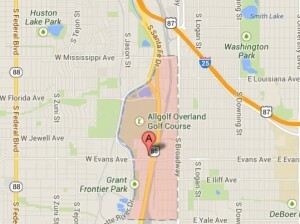 See all Denver homes for sale in the Overland Park Neighborhood at http://tinyurl.com/OverlandParkDenver or scroll down. The Overland Park neighborhood is a choice pocket on the east side of the South Platte River. The Overland Park neighborhood is located just east of the Ruby Hill neighborhood south of W Mississippi Ave, west of S Broadway, east of South Platte River Dr, and north of W Yale Ave. The number of parks per acre must be one of the highest in the city here. 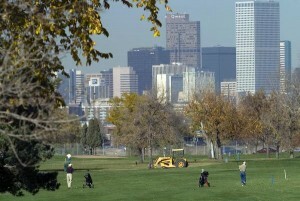 The Overland Park neighborhood contains the oldest golf course in Denver and first golf course west of the Mississippi River, Overland Golf Course. Aqua Golf and Overland Pond Park are to the north of the Golf Course .There are 2 other parks within the neighborhood boundaries: Paquini’s Landing & Grant Frontier Park. Additionally. 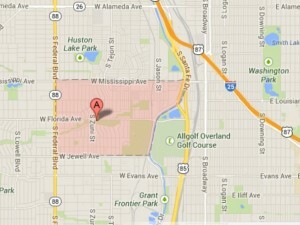 The entire neighborhood is under 1 mile from the Evans lightrail station. Combined with South Platte River Trail access and lightrail access, the Overland Park neighborhood is very friendly to fans of alternative transportation. And the recent transformation of South Broadway provides more walk-ability, entertainment, and quality of life improvements to this area. You can find registered neighborhood organization for the Overland Park Neighborhood at http://www.denvergov.org/cpd/CommunityPlanningandDevelopment/RegisteredNeighborhoods/tabid/444364/Default.aspx . Use this resource page to further evaluate the Overland Park Neighborhood in Denver: http://denverhomesales.info/neighborhood-evaluation/ . The following schools are nearby the Overland Park Neighborhood. Click any of the school names to see their information on ColoradoSchoolGrades.com.